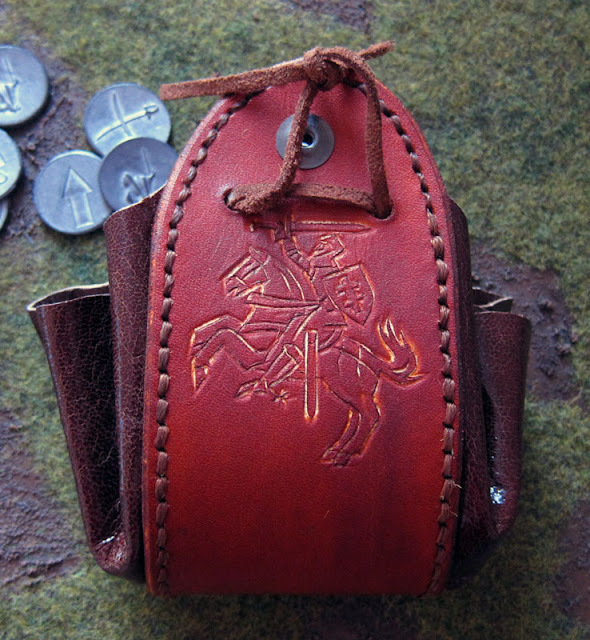 Ogniem i Mieczem - By Fire and Sword • View topic - Goodie : dice bag for the PLC ! Goodie : dice bag for the PLC ! Post subject: Goodie : dice bag for the PLC ! As a Bfas fan since some years now (time flows so fast ! ), I've finally bought Polish-Lithuanian order tokens and dice, both nice products. I hoped the red dice could help my cursed pancerni to survive longer during the games (pure superstition !) : for the moment, it's better. 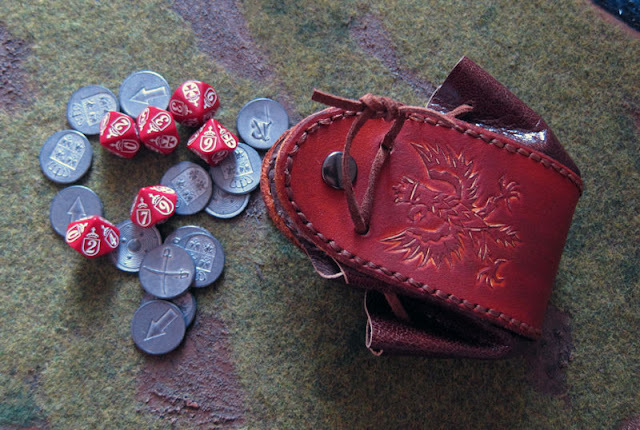 As I didn't find back the fabric dice bag made some years ago by Wargamer in my retailer shop, I've decided to make a leather dice bag myself. I'm quite happy with the result. Now I should make a Turkish one for my husband in the following months ! ...and the Lithuanian side ! Post subject: Re: Goodie : dice bag for the PLC ! there were official dice bags? Yes, Wargamer had made dice bags for each faction. They also had deals with the bag + tokens + dice, it was pretty cool, but I didn't have money at that time. Too bad it was not a successful sale ! I have not planned to make series of dice bags for the moment, but if I find some time, I will contact you.